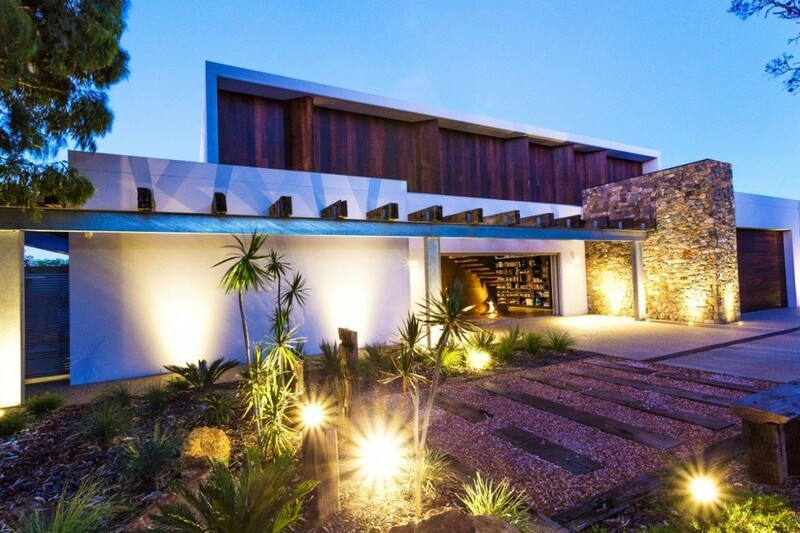 This impressive residence enjoys views onto the beautiful Geographe Bay. It has been designed with the natural beauty of the area as a focus and this is incorporated through the use of stone and jetty timber. This warmth then carries through the rest of the finishes in this individual residence. The kitchen is a real entertainers zone, designed with a large curved island bench and freestanding butchers block with a custom stainless steel feature that incorporates hanging space and lighting. 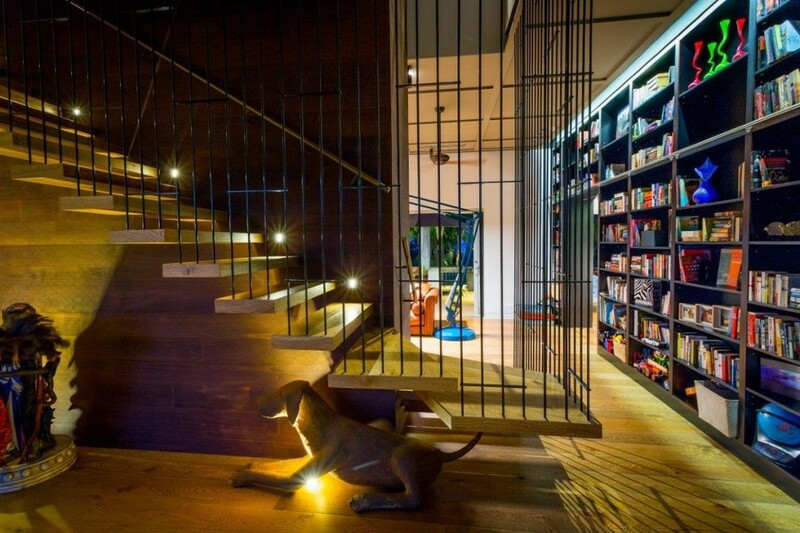 Another outstanding feature in this residence is the floor to ceiling library unit that wraps around an entire wall creating an impressive impact. The wet areas are luxe, featuring stone finishes and understated cabinetry.